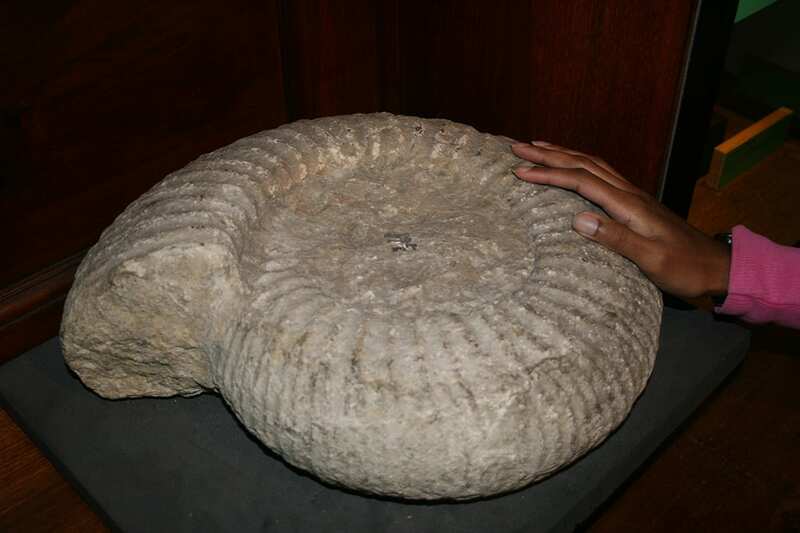 I am once again delighted to be invited to write a guest blog for UCL’s Grant Museum of Zoology, and this one is about the extraordinarily large ammonites encountered in Portland Limestone. As avid readers of former Grant Musuem Curator Mark Carnall’s ‘cephalopod column’ in The Guardian will already be aware, cephalopods are a group of marine molluscs and amongst them live and lived the giants of the invertebrate world. Represented today by octopuses, squids, cuttlefishes and nautiluses, and extinct taxa represented by ammonoids and belemnoids, cephalopods have been a dominant invertebrate species in our seas since the Ordovician, 480 million years ago.